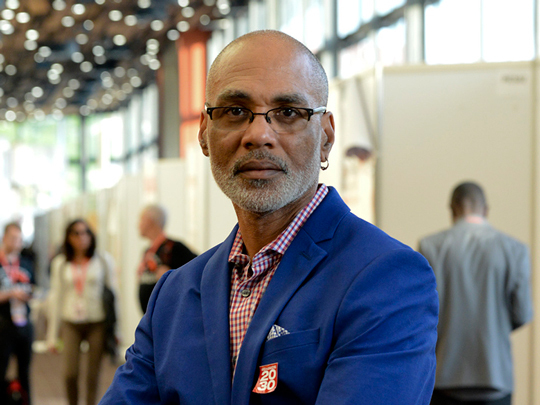 As we prepare to observe National Black HIV/AIDS Awareness Day (NBHAAD) 2019, the HIV.gov team extends our heartfelt thanks to Phill Wilson, founder of the Black AIDS Institute (BAI), for his longstanding service in the response to HIV and AIDS. Phill recently retired from his role at BAI, so we wanted to take a moment to recognize the impact of his work building systems and programs to ensure that people at risk for, or living with, HIV and AIDS received the prevention, care, and treatment services they needed. His work saved lives and guided many of us—including HIV.gov—to do better work in the response to HIV. "I used to say that I did not believe that I would live to see the end of this epidemic. I don't say that anymore. I believe that it is entirely possible that I will see the end of the epidemic, but we are at one of those deciding moments. Whether we end it now or not is totally up to us." For more information on National Black HIV/AIDS Awareness Day, visit this newly launched community site for NBHAAD.